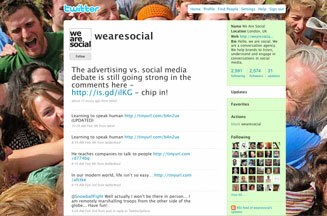 LONDON - Twitter is planning to charge brands for using the micro-blogging website. Co-founder Biz Stone told Marketing: 'We are noticing more companies using Twitter and individuals following them. We can identify ways to make this experience even more valuable and charge for commercial accounts.' He would not be drawn on the level of charges. Stone said it could also create revenue-generating features to tap into the way brands use Twitter as a hybrid marketing and customer-service tool. But Bob Pearson, vice-president of communities and conversations at Dell, said: 'If it becomes complicated and costly, our instinct would be to move elsewhere.' Robin Grant, managing director of social media agency We Are Social, said Twitter could charge for display ads or to access customer information for marketing. Stone insisted Twitter would not charge individual users.